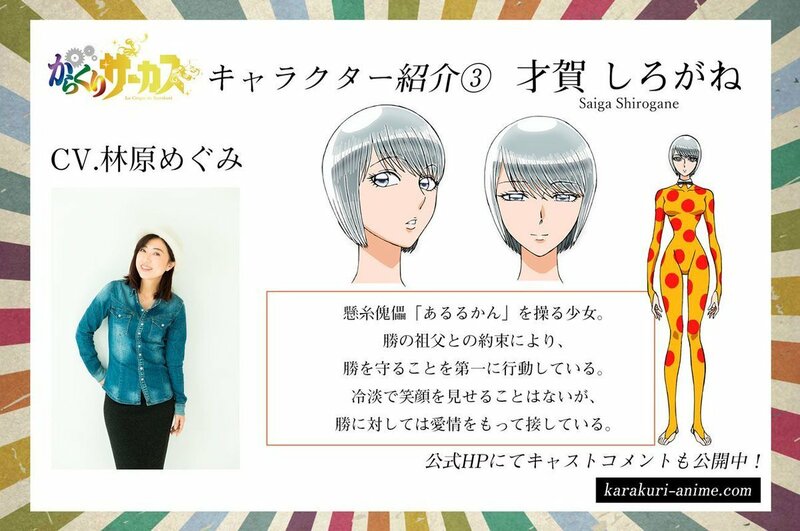 The 36th issue of Weekly Shonen Sunday revealed a new Visual for the Upcoming anime Karakuri Circus. 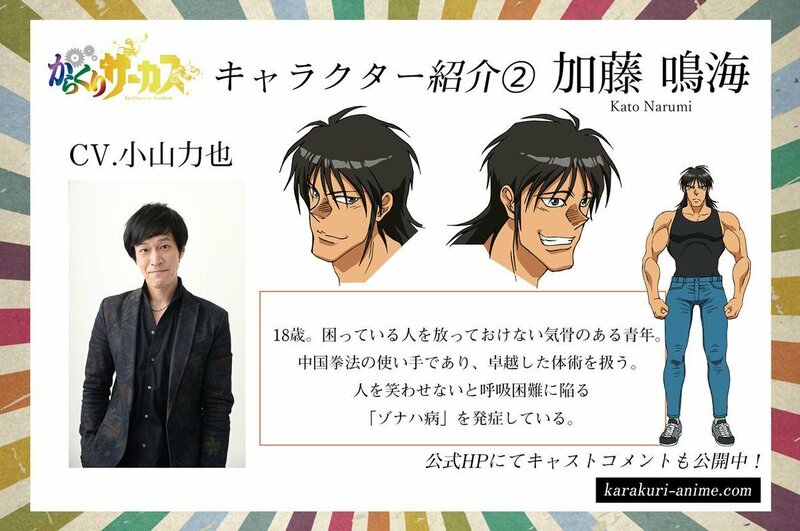 Karakuri Circus official website also updated to reveal the main voice cast for the anime and the first promotional video for the anime. The site also confirmed the anime will be airing in October 2018. The anime adaption will exclusively air on the Amazon streaming servers in the west. The anime is based on the manga of the same name by author Kazuhiro Fujita. The Manga started in 1997 and ended serialization in May 2006. 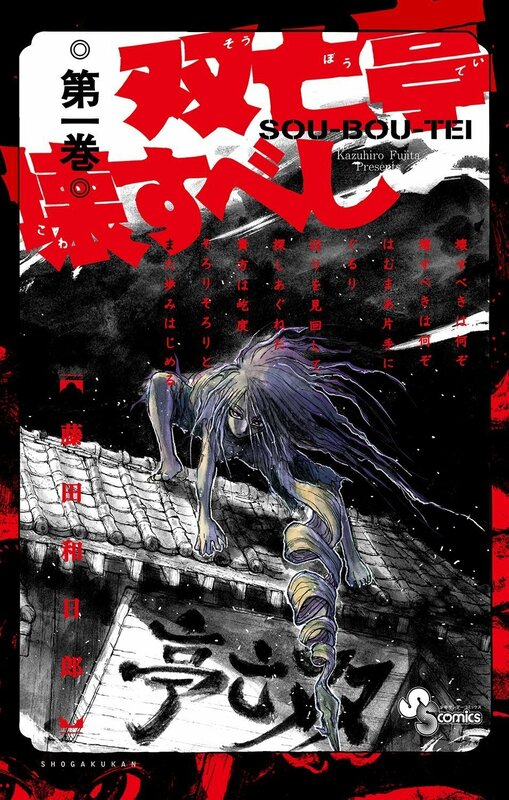 The series in total had 426 chapters. 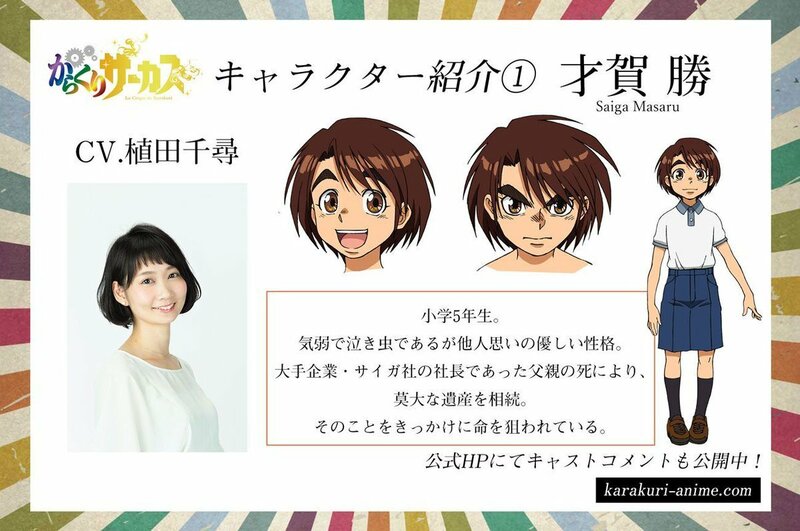 Karakuri Circus Anime will be adapted by Studio VOLN who previously worked on the recent anime adaption of Ushio to Tora. Another series made by the author Kazuhiro Fujita. Kazuhiro Fujita also currently has a manga which is ongoing titled. Souboutei Kowasubeshi(Souboutei Must be Destroyed). The manga started in 2016 and is currently ongoing in Weekly Shonen Sunday magazine. This being only the second series by Kazuhiro Fujita to receives an anime adaption. I do have to say it makes me quite happy. Kazuhiro Fujita has to be one of the most underrated authors of this generation. Mainly in the west, I’d assume. But considering Kazuhiro Fujita has had 3 different manga. That almost has over 300 chapters each. He has been an author that has been constantly producing/making manga since the 90’s. 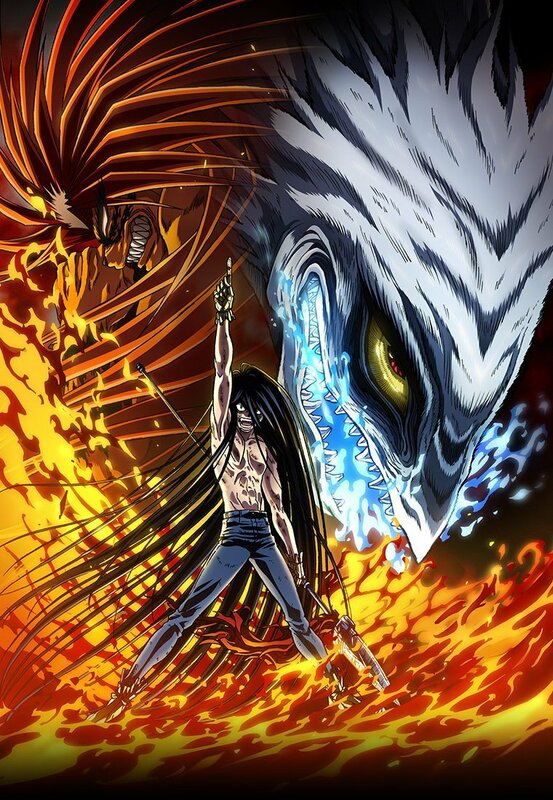 But none of those long-running manga he has made over the years has ever received a proper anime adaption(ignoring the 90’s Ushio to Tora OVA) until now. I do not know what triggered it but Kazuhiro Fujita is finally having his manga receive the anime adaptions they deserve. I do hope these adaptions make it so that he is an author that gets noticed a bit more in the west. As for the anime, it’s self. 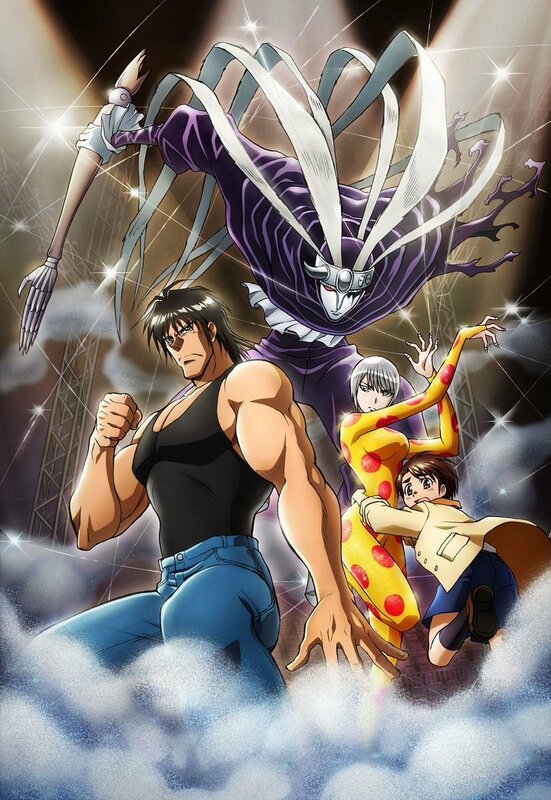 Karakuri Circus is something I’m really looking forward to watching. I have voiced my thoughts on the series. Over in the 5 old school series that recently received an anime article. If you interested in why I’m excited and want to know a little bit more about the setting and story of the series. Be sure to check out that article. But if you have heard of the series. Are you excited about it or Not interested in it? Do voice your opinion on it in the comment section below.